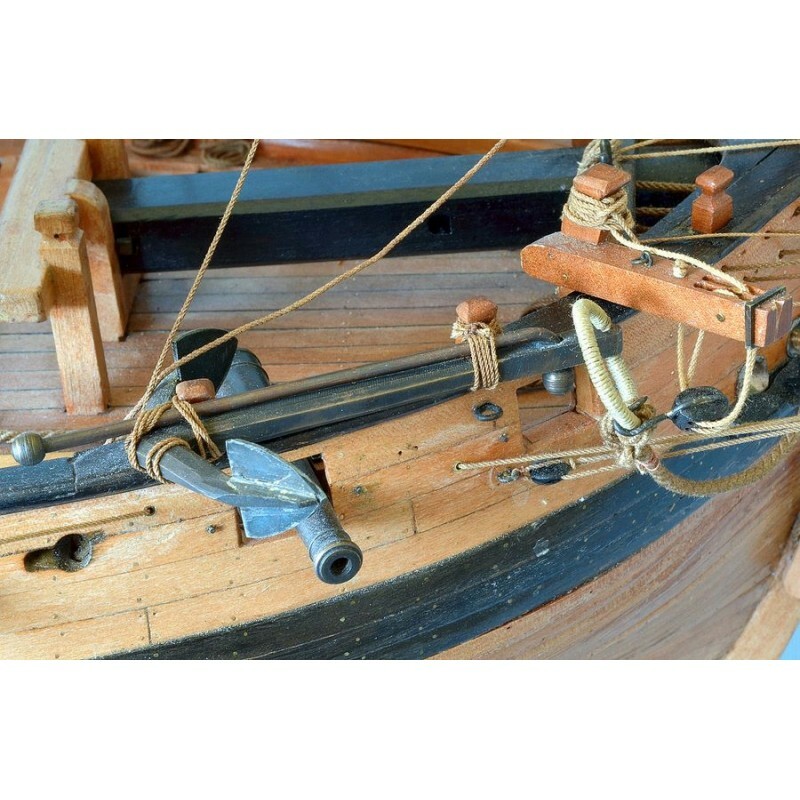 The renewal of the French Navy after the Seven Years' War was responsible for the commission of many new naval constructions, in particular, the building of a series of large cutters, begun in 1779, some measuring 75 feet in length, bearing 14 guns and others measuring 81 feet in length, armed with 18 6-pdr guns. 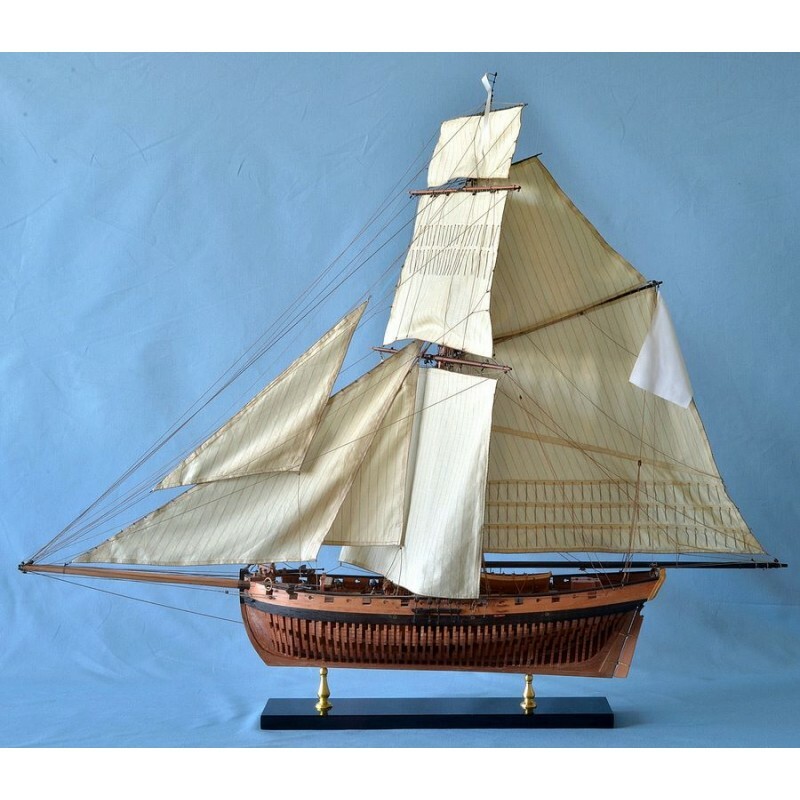 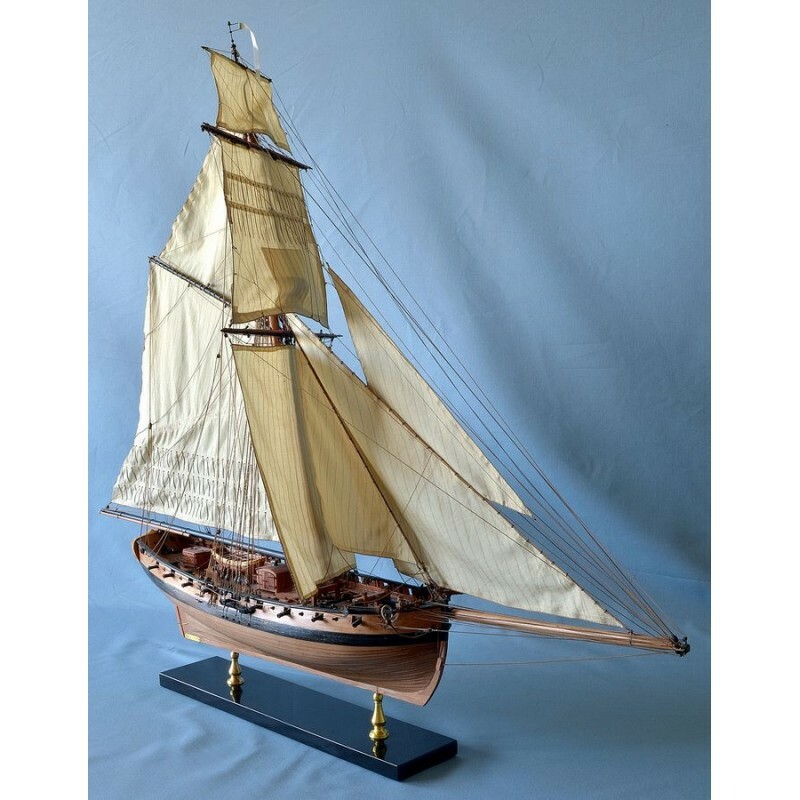 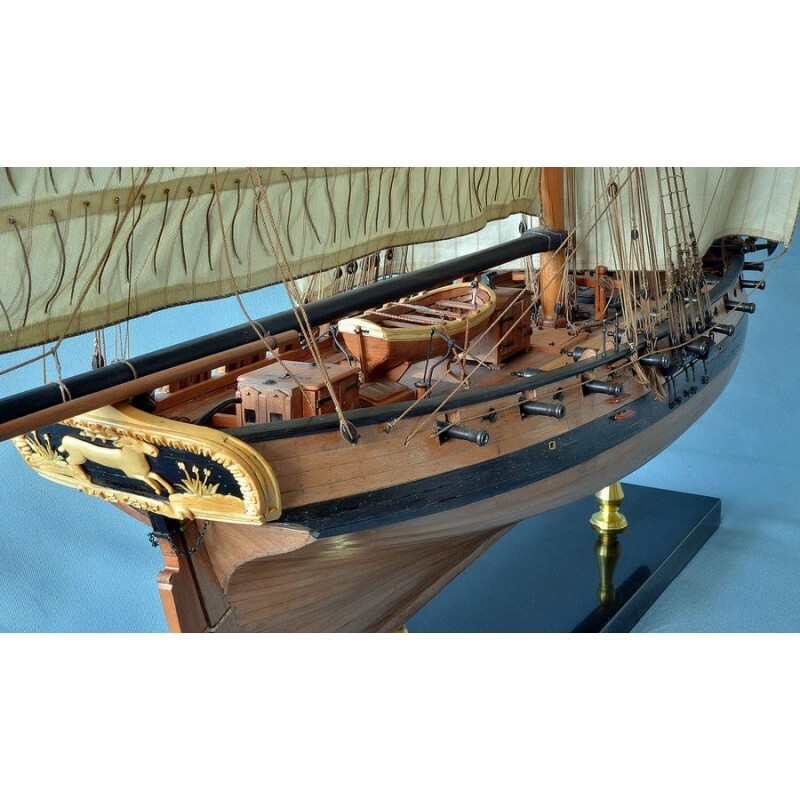 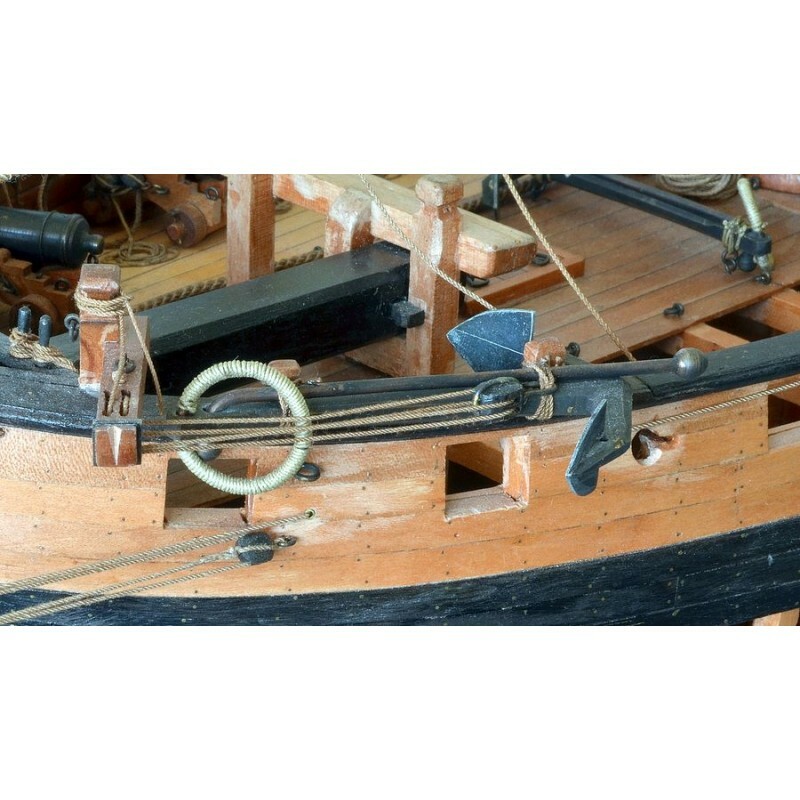 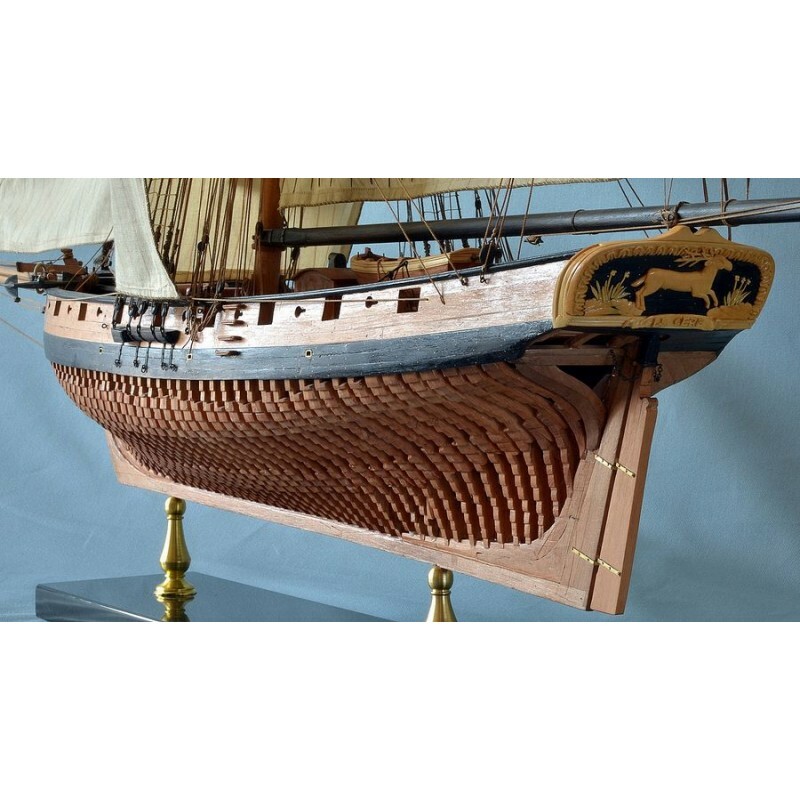 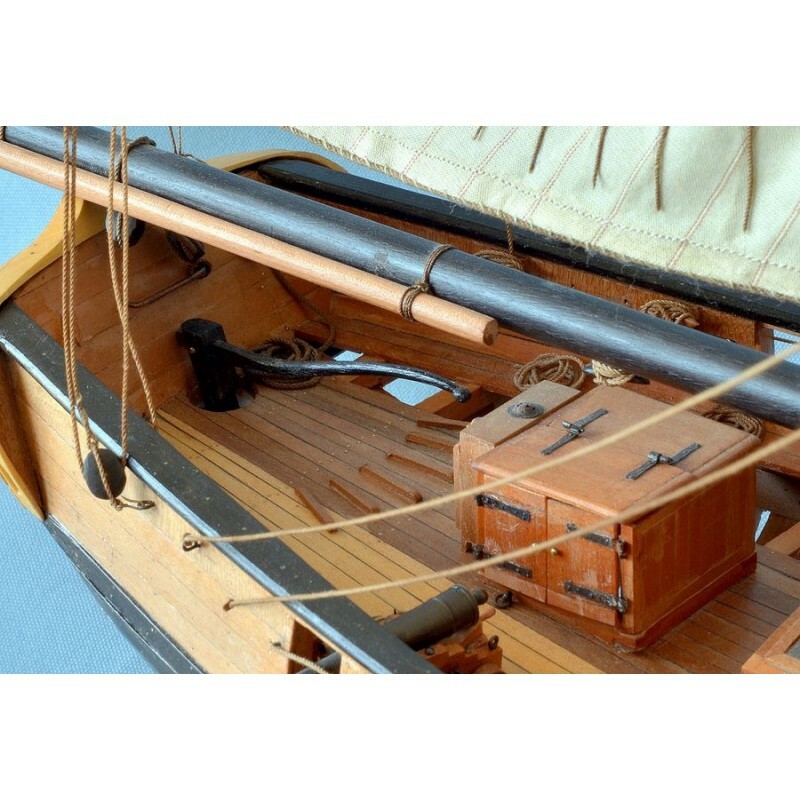 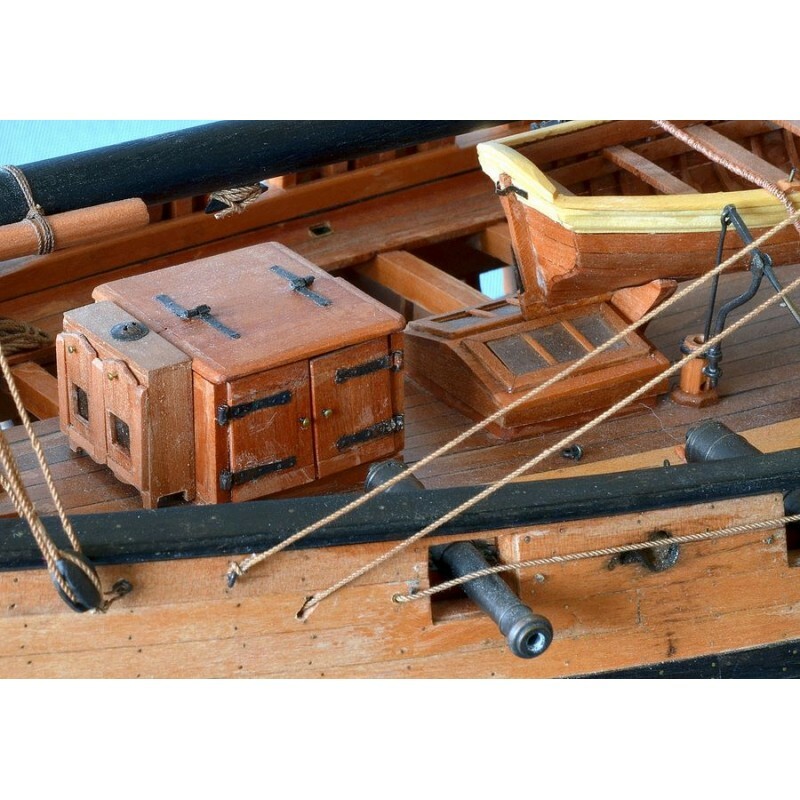 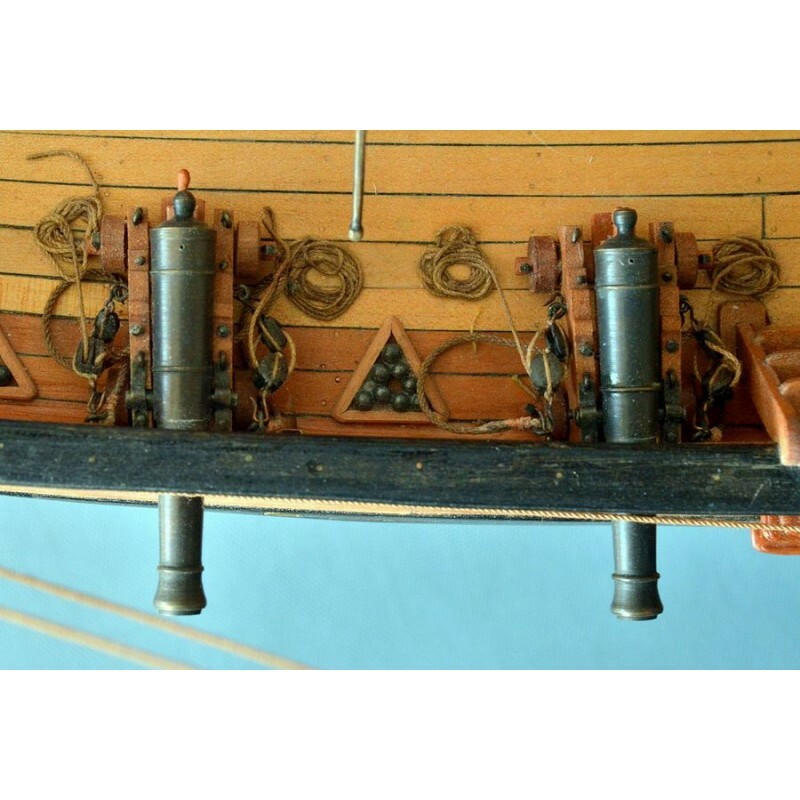 As the prototype of this model, we have chosen Le Cerf which was built at Saint Malo according to the shipbuilder Denys's plans and launched on 2 March 1779. 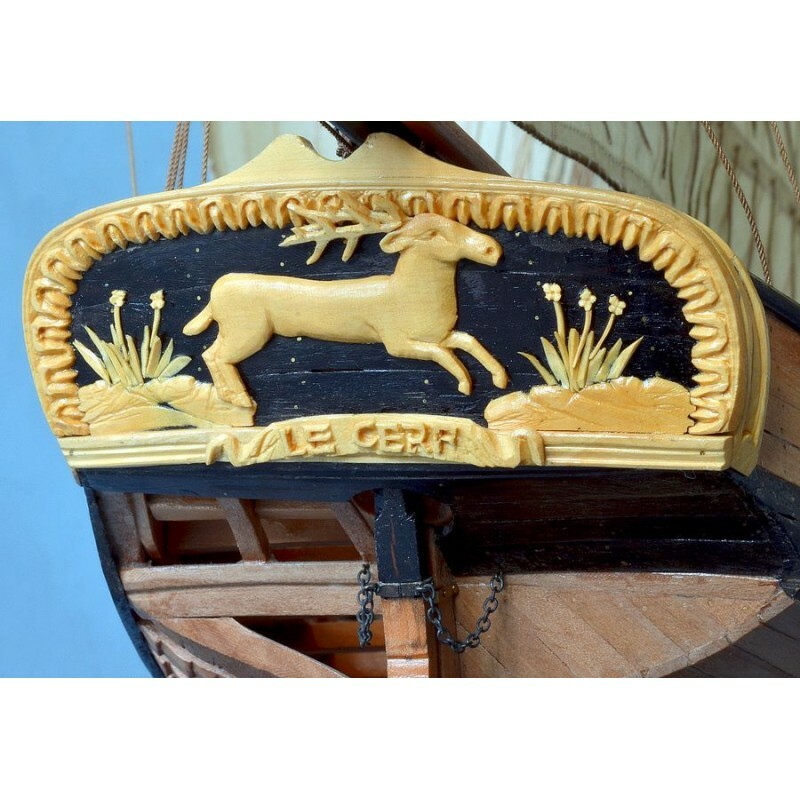 Command of the ship was confided to ship's ensign Varages who sailed the Britanny coast and engaged in the ship's first active combat with two English cutters on 21 June of the same year. 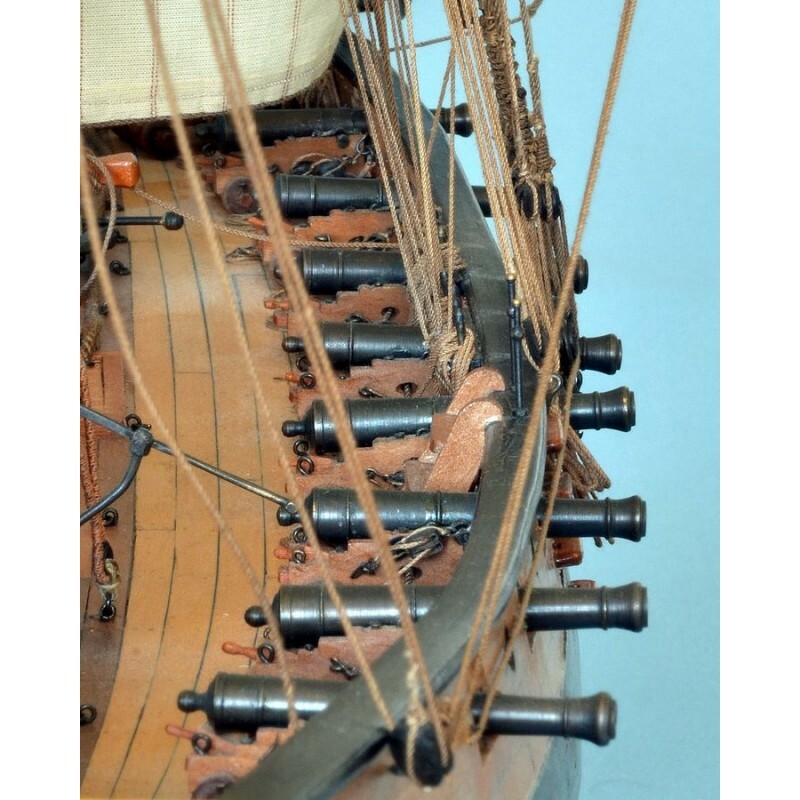 After repairs were completed, the Cerf resumed sailing but was struck by lightning on 17 July. 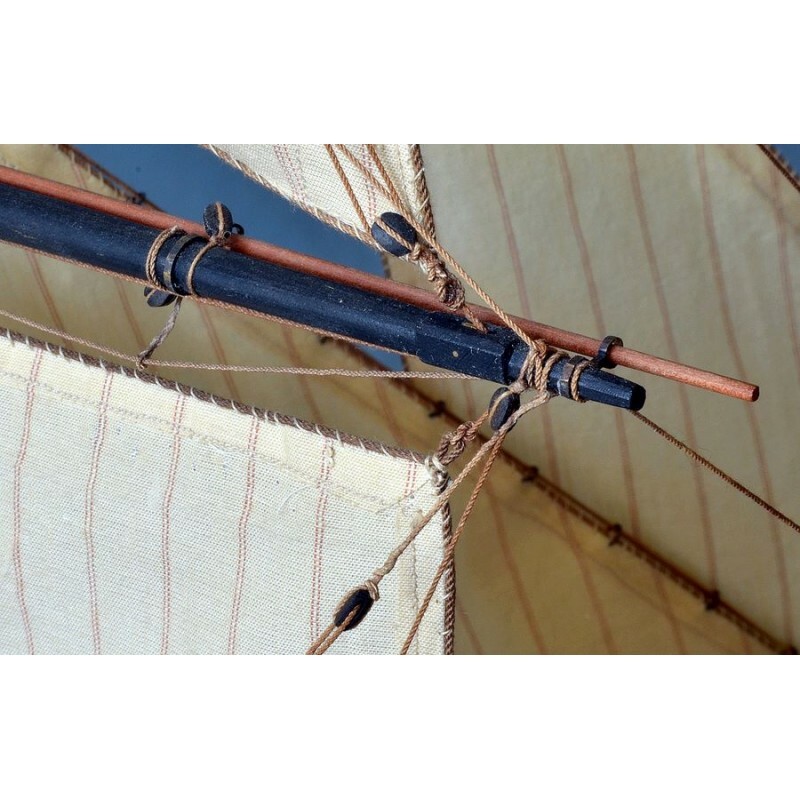 We have a detailed account of this fortunately rare occurrence. 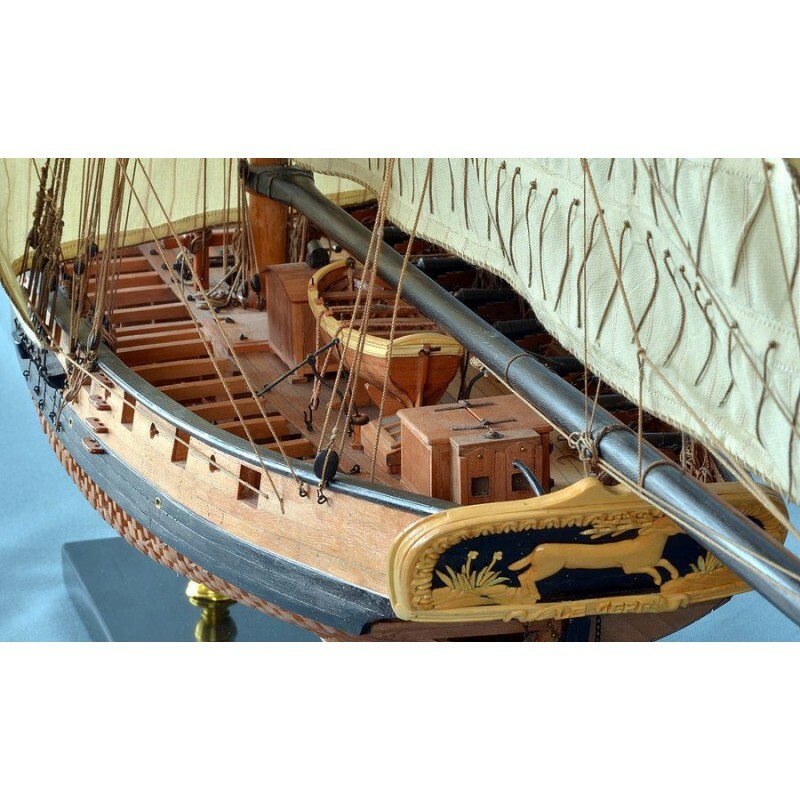 After putting in at Lorient, the Cerf was put under the command of John Paul Jones, Captain of the U.S. Navy, as part of a division sailing under the American flag - including LE BONHOMME RICHARD, LA PALLAS, L'ALLIANCE and LA VENGEANCE - that cruised the British coastline. 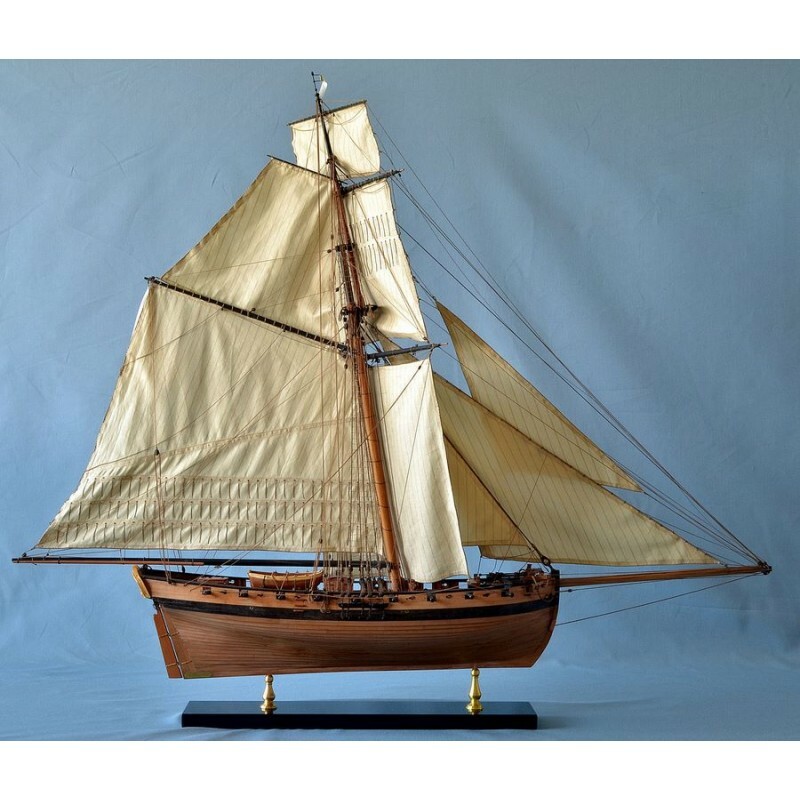 On 23 August off the Irish coast, the Cerf is enlisted to search for the long boat of the Bonhomme Richard carrying seven deserters. 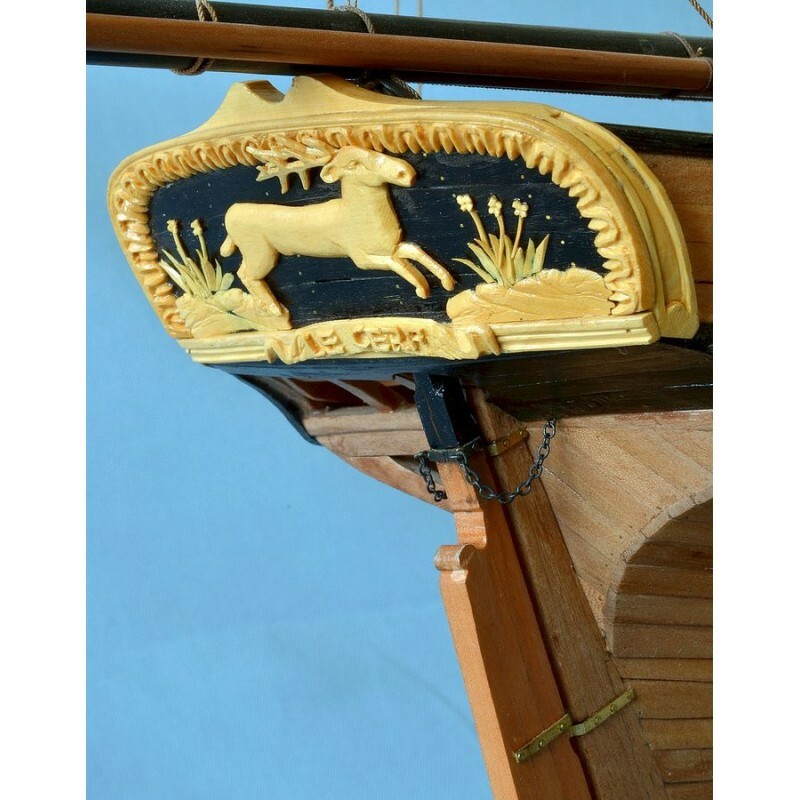 Foul weather interrupts the search and the disabled Cerf abandons its mission. 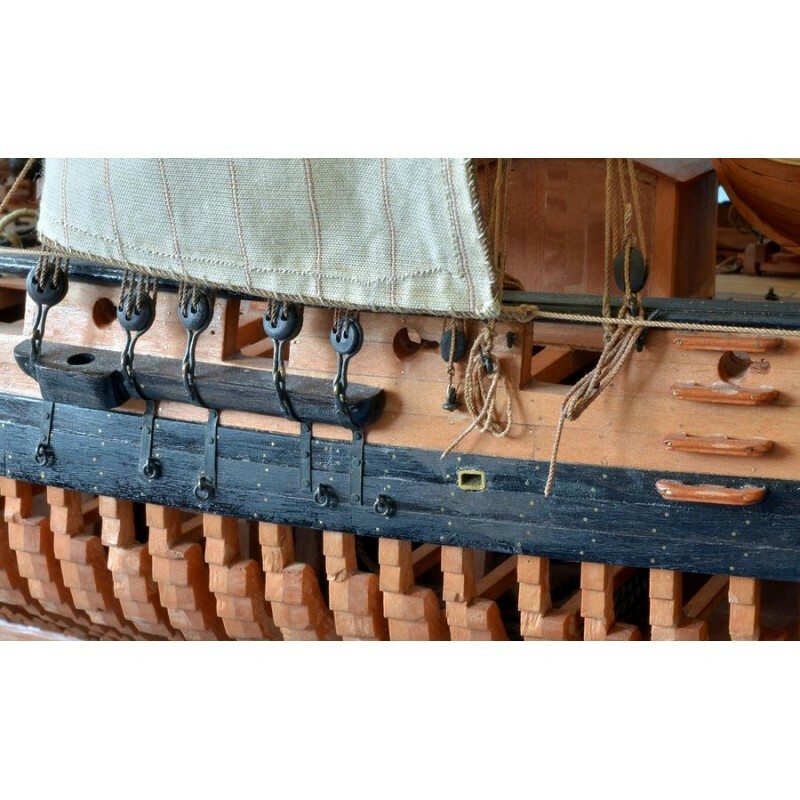 In his vivid and detailed reports up to February 1780, Varages fully represents the role of a ship of lighter tonnage which was essential to a great military navy for bearing dispatches, as well as for protecting the coastline, coasting vessels and fishing fleets. 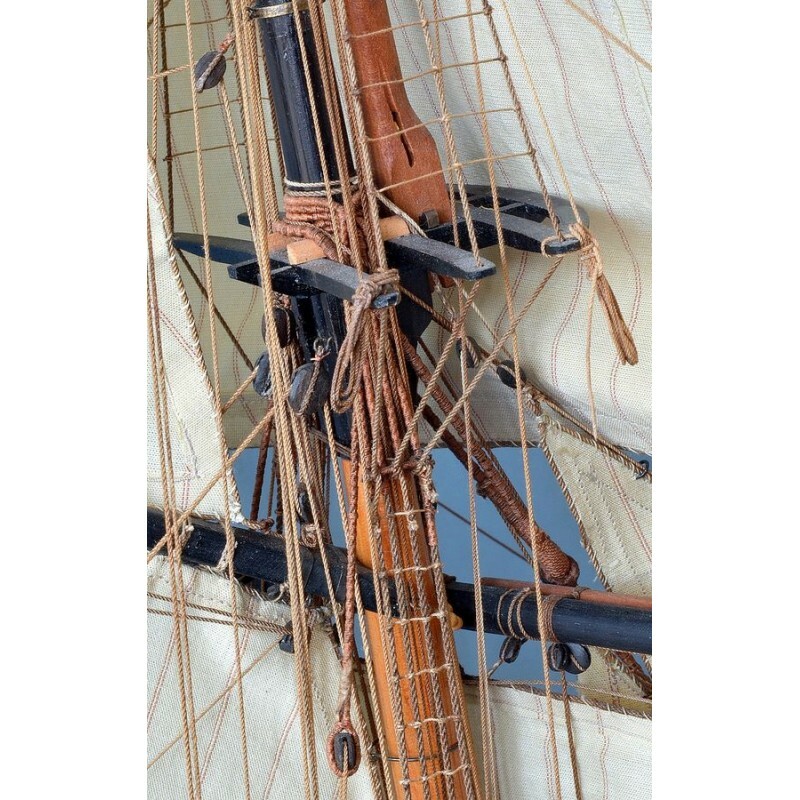 - List of 27 cutter-rigged ships appearing in the lists of the French navy 1756-1781. 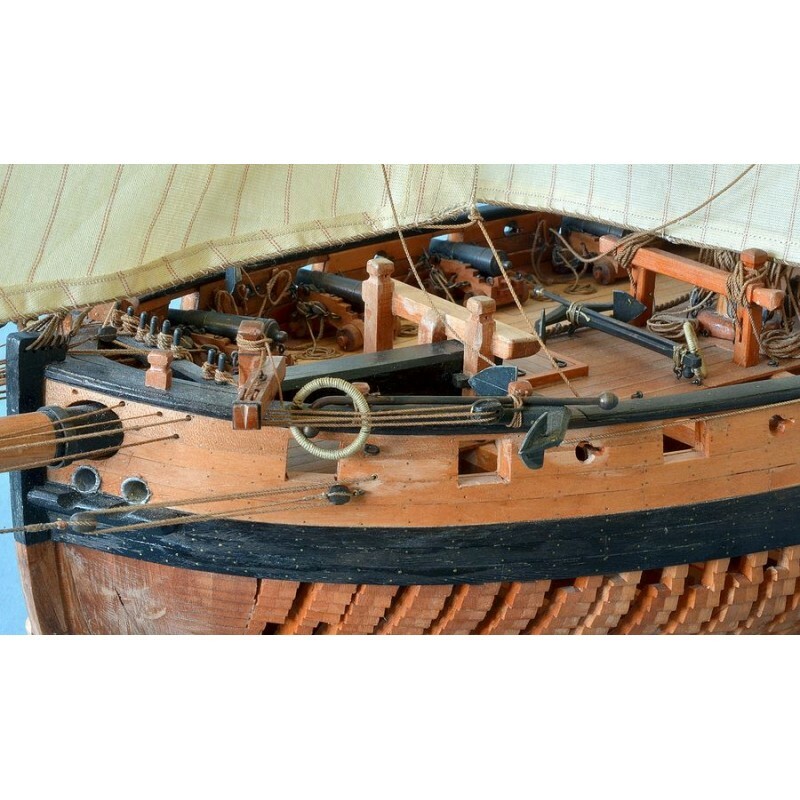 - Commentary and analysis of 14 photographs of models of cutters in the collection of the Musée de la Marine. 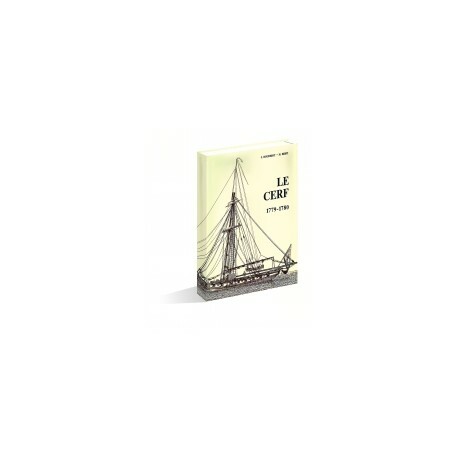 - History of the campaigns of the cutter Le Cerf. 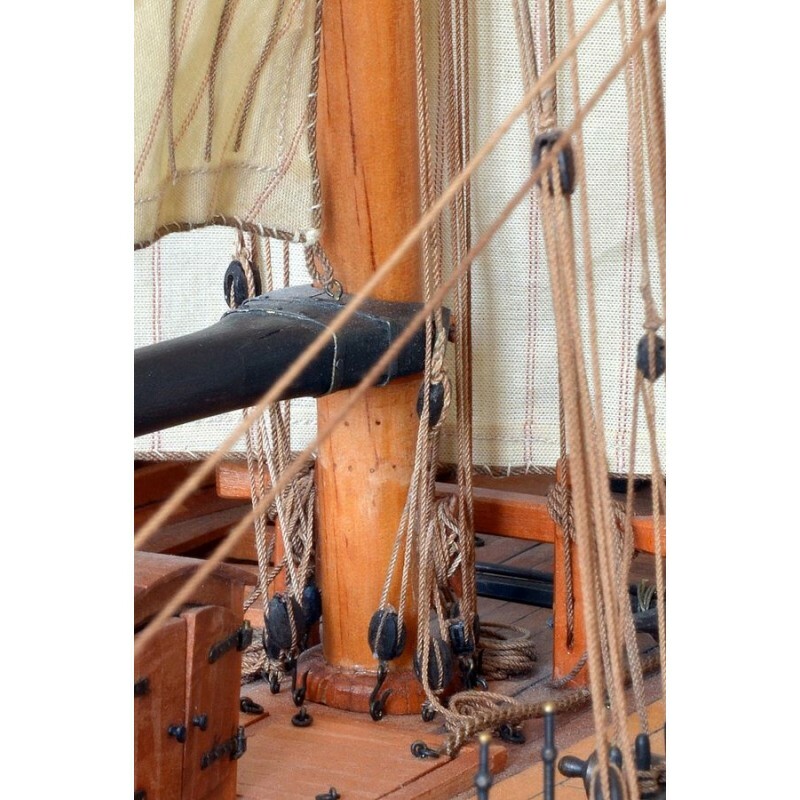 - Full glossary of superstructure and rigging terms. 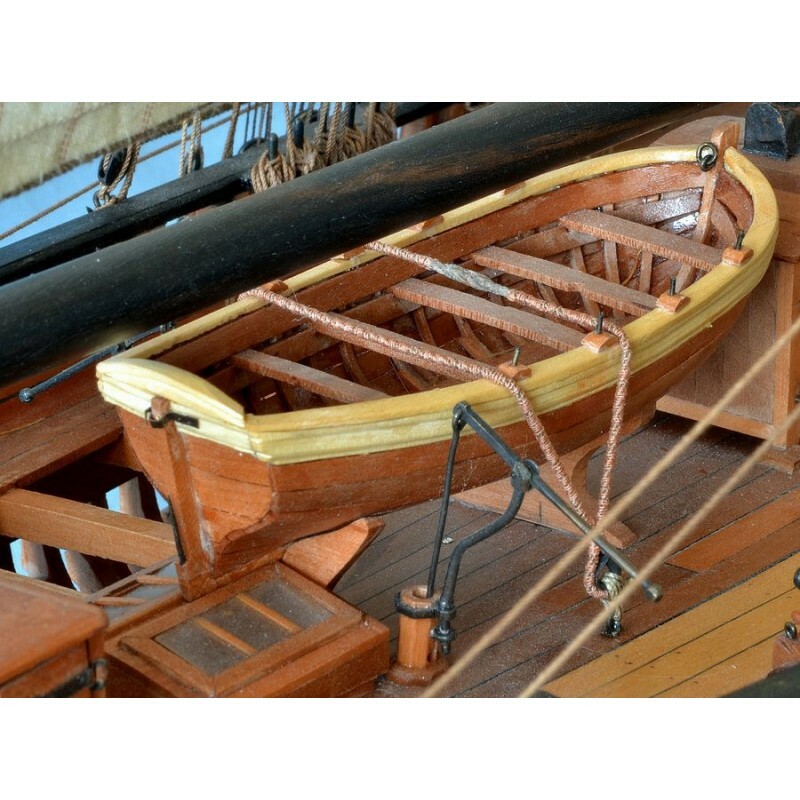 2 - Definition of the hull, drawings of the planking. 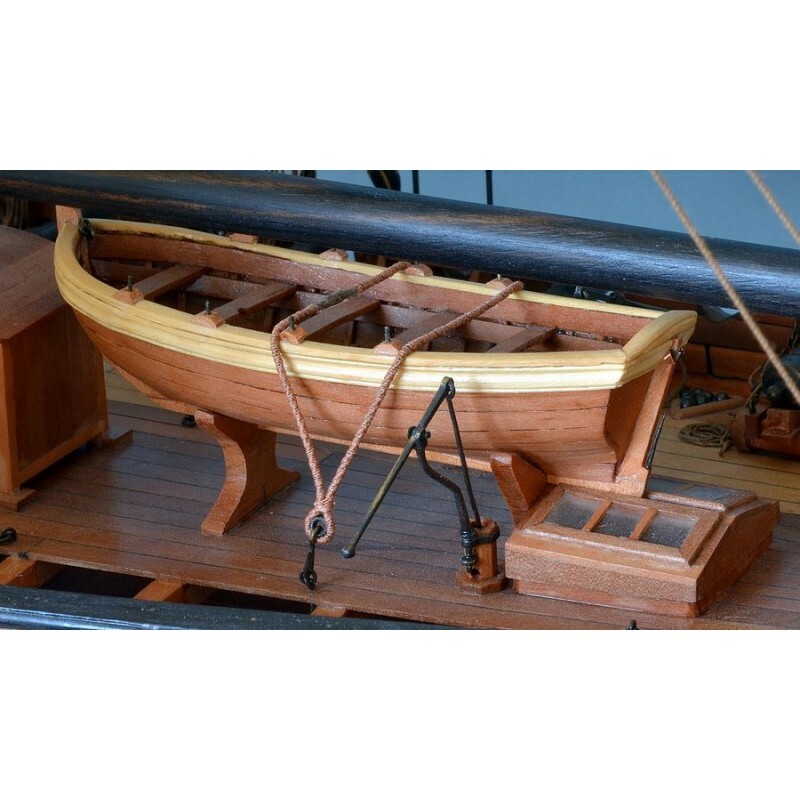 3 - Plan of the deck and profile of the midship frame. 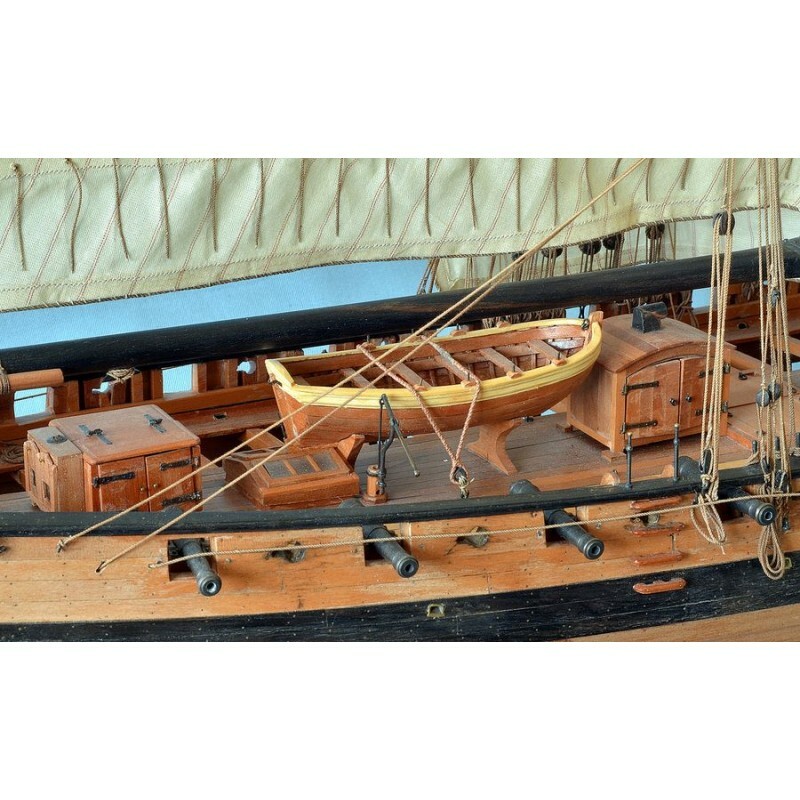 4 -View of the hull, longitudinal section, front view. 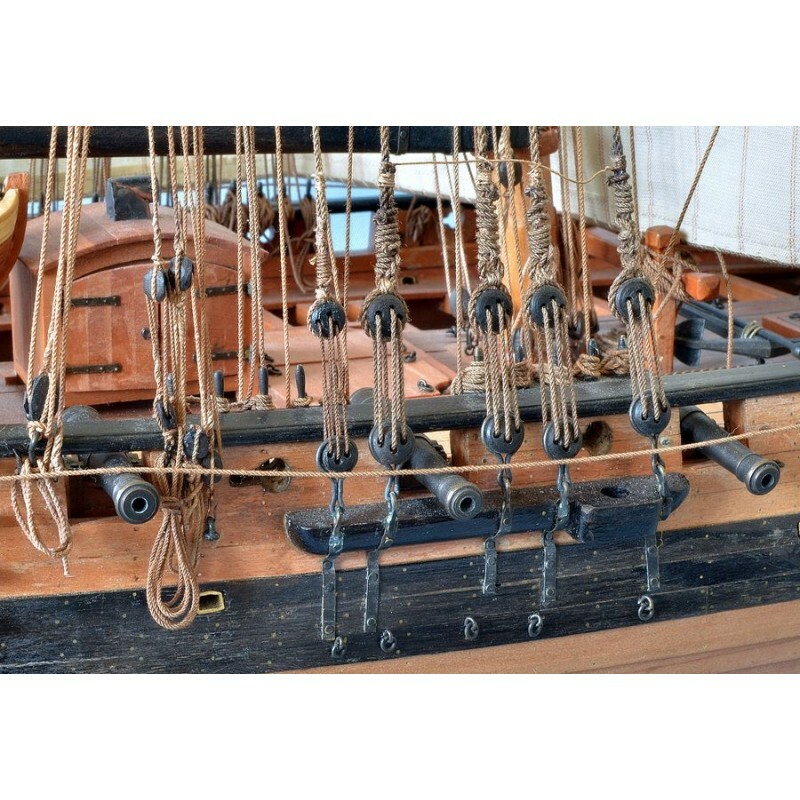 5 - Plan of the fitted-out deck, rear view. 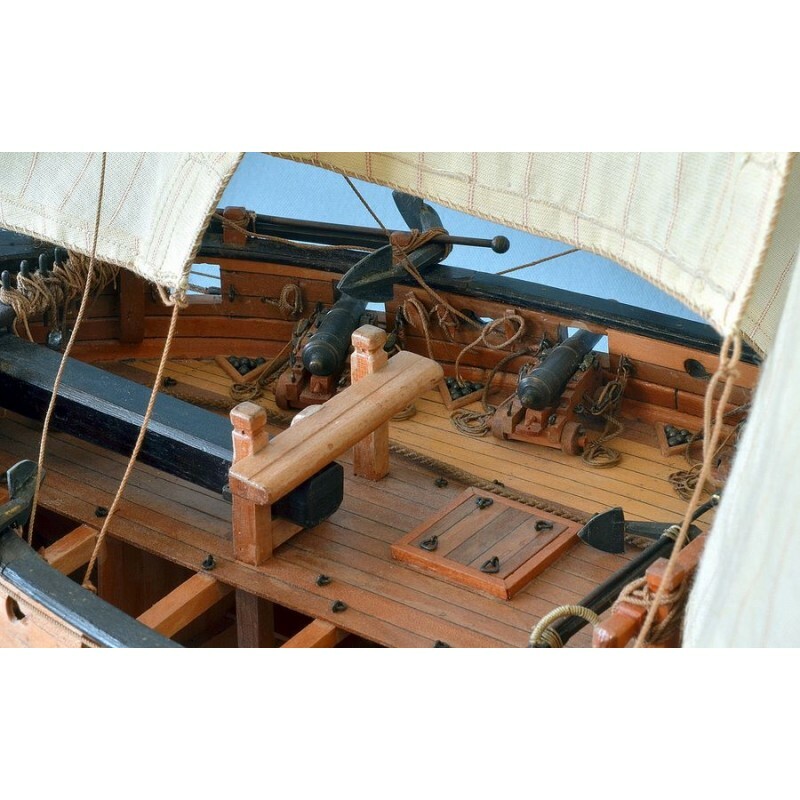 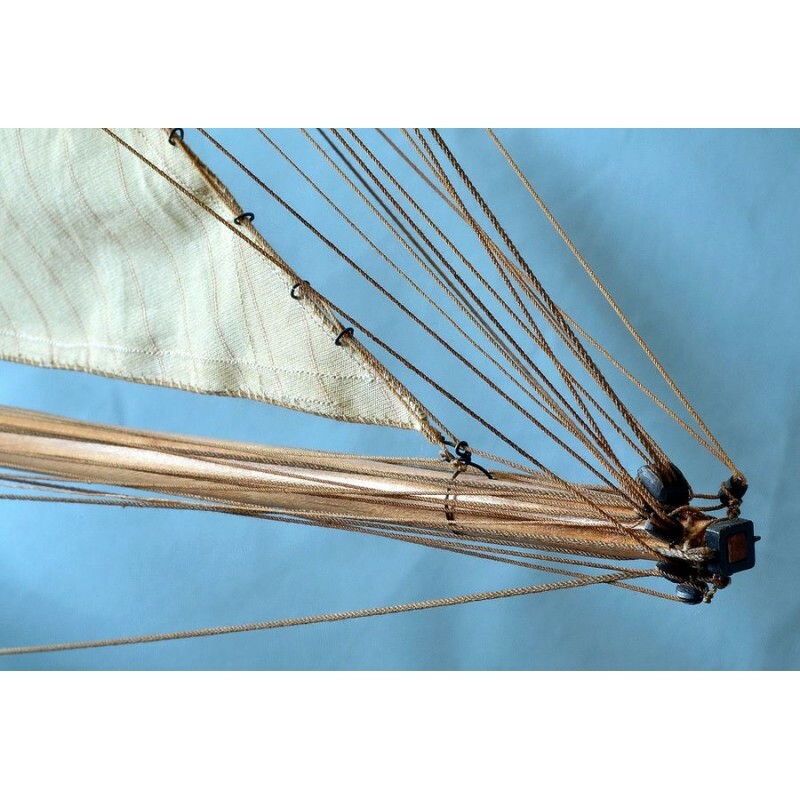 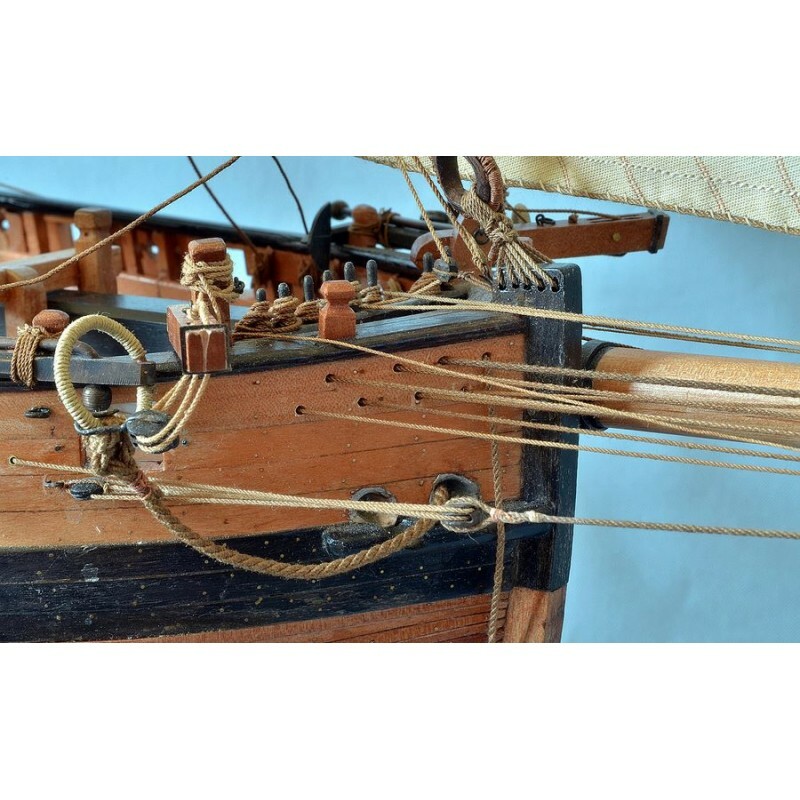 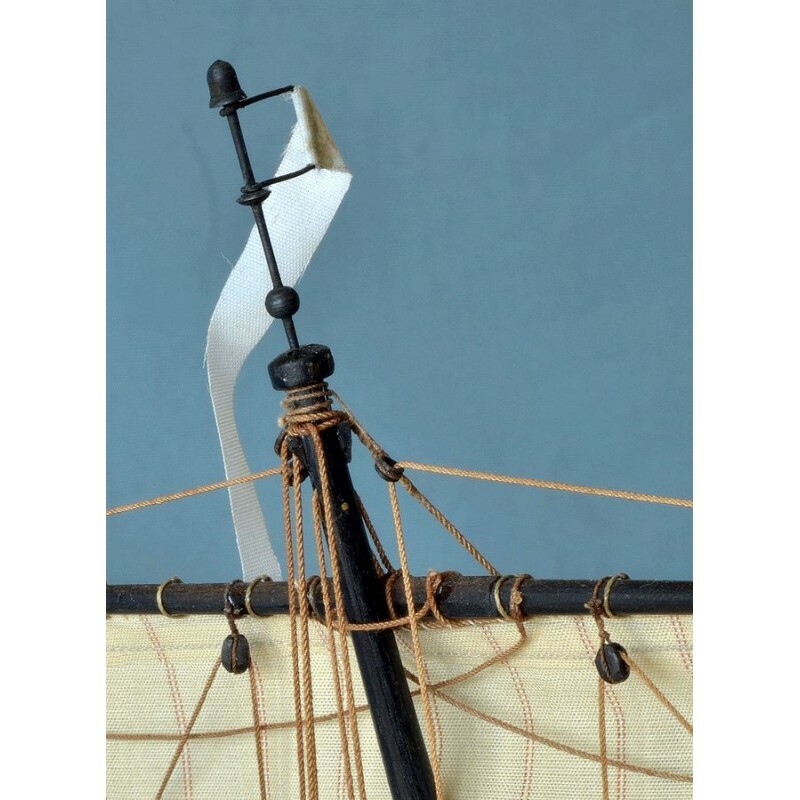 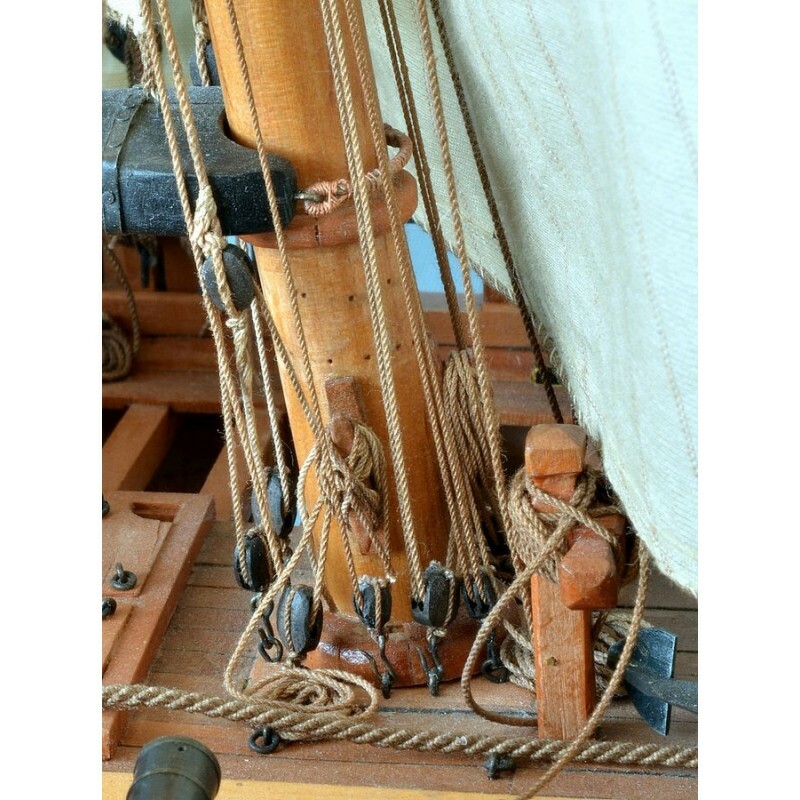 9 - Masting elements, mast yards rigging. 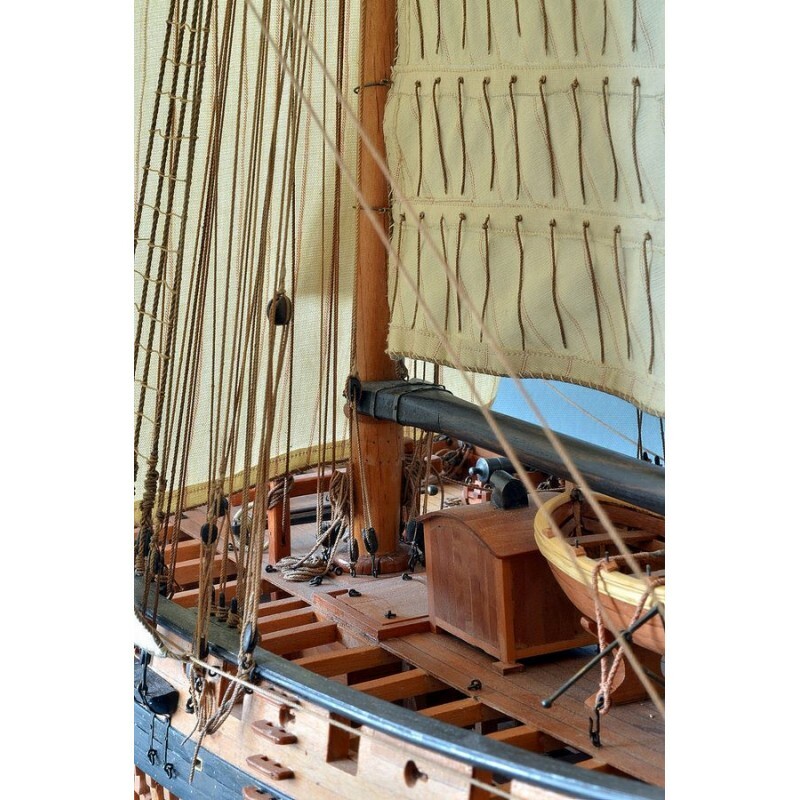 11 - General view of the fore-and-aft sails.